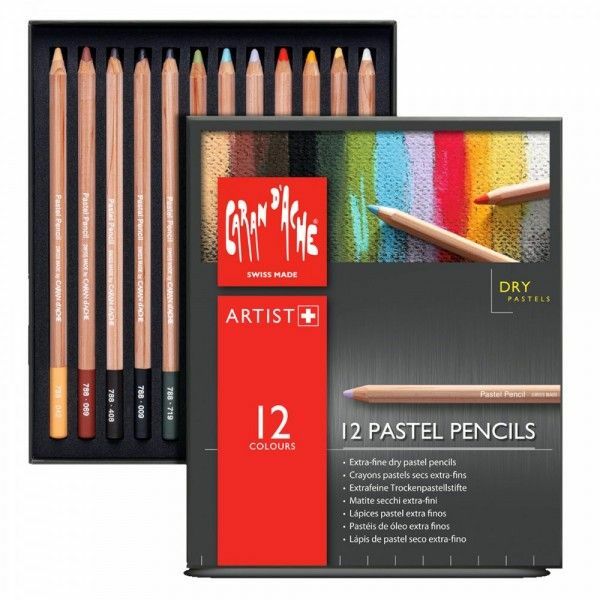 These pastel pencils are presented in a sturdy foamlined box to prevent the leads from breaking. 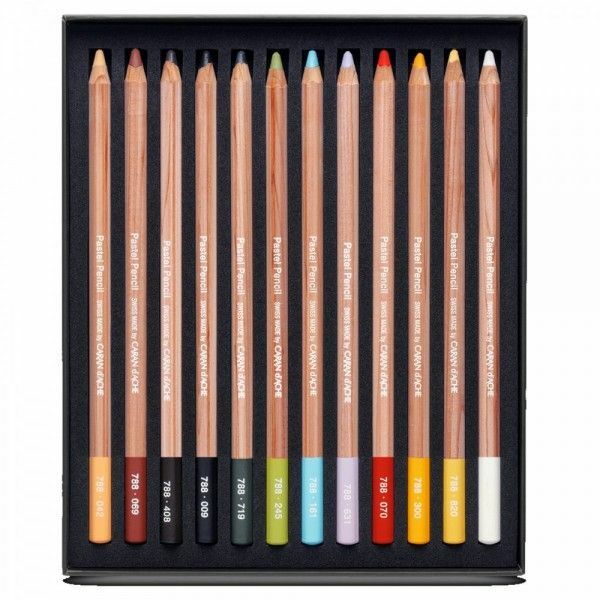 Caran d'Ache Pastel Pencils are of an extremely high quality and made of ultra-fine artists' pigments. 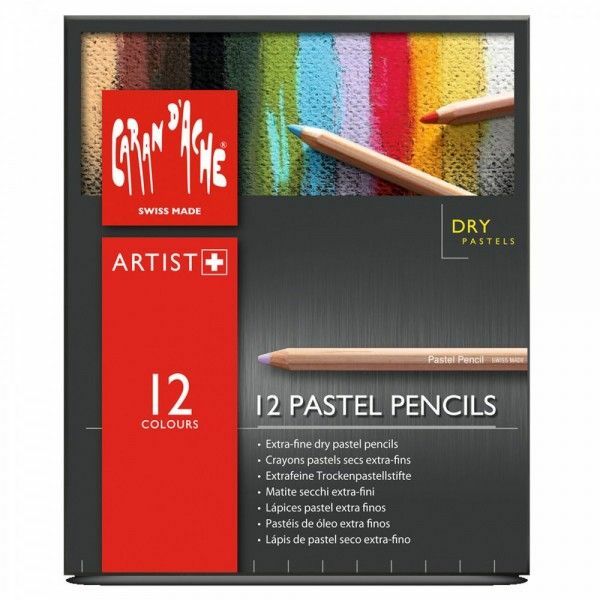 They are dry pastel pencils and have exceptional lightfastness. Colours are rich and vibrant and will give excellent coverage. The large 4.7mm lead will sharpen to a strong point so that fine detail drawing can be achieved. The lead of this pastel pencil is contained in the highest quality cedar wood to prevent splitting when sharpened. 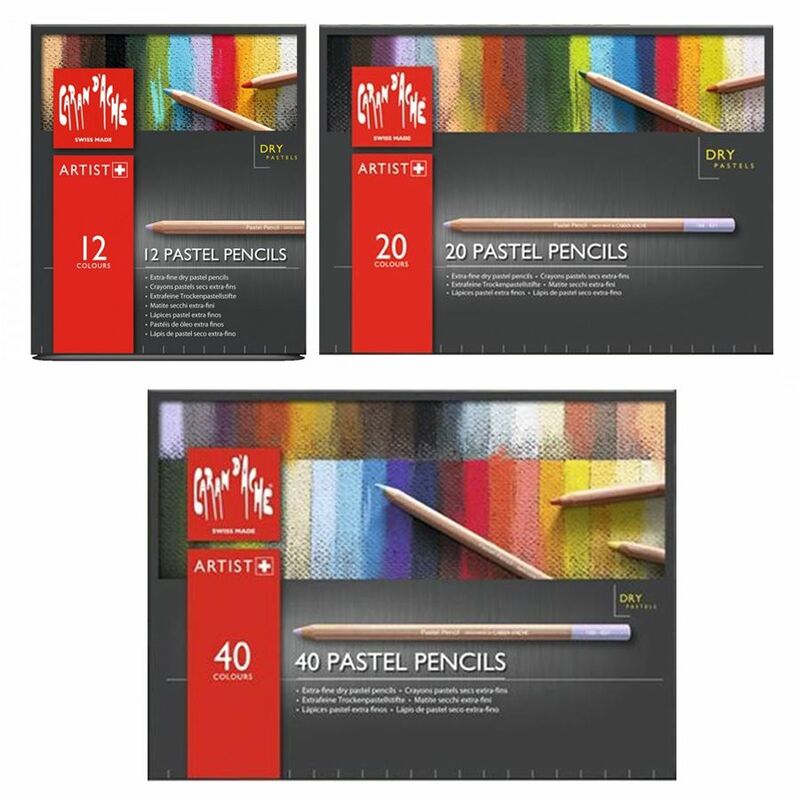 Caran D'ache Pastel Pencils are hexagonal in shape and best sharpened with a knife or sandpaper block. The Varde table easel is a neat compact easel for artists or display purposes. It will hold a canvas or board up to 62cm (24"). Made from seasoned beechwood.